Not too long ago, we talked about Toyota’s New Global Architecture Platform (TNGA), an initiative that has and will continue to change the way that Toyota manufactures cars. Later this year, the TNGA will be used to create the fifth generation of Toyota’s flagship sedan, the Avalon. 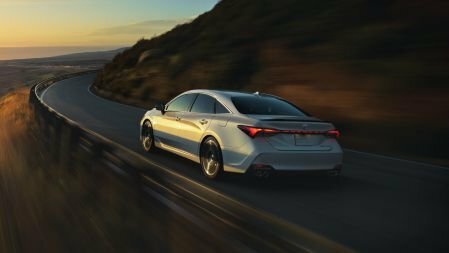 Seamlessly melding all the perks of a luxury cruiser into a surprisingly aggressive exterior, the newest Avalon stands poised to become America’s best-selling midsize sedan. We’re understandably excited here at Westbury Toyota to see everything the redesigned Avalon has to offer and what’s more, how its success will influence and shape Toyota’s future car development. The 2018 Avalon is now a part of the impressive stable being created at Toyota’s Georgetown, KY plant, which recently underwent $1.3 billion worth of upgrades in order to fully implement the TNGA platform. To put it simply, TNGA provides more flexibility and creativity when manufacturing vehicles. It also leads to definitive improvements in the cars themselves, as will be evident in the 2019 Avalon. As the editorial staff of the Northern Kentucky Tribune explains, the benefits of using the TNGA platform have led to an improved welding process, which in turn led to increased rigidity in the vehicle frame. The end result is that you’ll get a far quieter ride in the Avalon than you will in most any other vehicle. The newest Avalon is also proving just how focused Toyota is on American manufacturing. It was not only engineered and designed on home soil (a three-year process! ), but will also be produced exclusively at the Georgetown plant. A team of 8,000 and an earnest desire to create a car that will go above and beyond when it comes to customer satisfaction will propel the 2019 Avalon into the spotlight later on this year. Fans of the previous Avalon iterations are going to be in for some surprises with the newest generation. In addition to completely updated interiors and exteriors, you’ll also see a V6 engine capable of 301 horsepower (hp) and 267 pound-feet (lb-ft) of torque, paired with an eight-speed automatic transmission. As Antuan Goodwin of CNET points out, that engine/transmission setup will get you 31 miles per gallon (mpg) highway driving, 22 mpg in the city, and 25 mpg combined. If you opt for the Hybrid powertrain, you’re looking at 43 mpg city driving, 44 mpg on the highway, and 44 mpg combined. Obviously, mileage differs based on the trim level and powertrain, but there’s no disputing that the hybrid numbers look pretty impressive! These are just a few of the upgrades in store for the 2019 Avalon. There’s one other that’s a bit on the fun side: The available Engine Sound Enhancement which, with a single push of a button, makes the Avalon sound like a top end sports car. Who wouldn’t love that during his or her time spent cruising around Long Island? It’s beyond obvious when you see the new Avalon that it’s undergone a fundamental style change. Its front end is far sportier than it was with previous generations, and it's shaped out of sleek, balanced angles that remind you of cars designed for pure speed and power. On the inside, you’ll see a transition into luxury. Soft, breathable seats and plenty of legroom mean that both driver and passengers alike will know absolute comfort during every drive. The newest Avalon is a clear indicator that Toyota has taken an enormous leap forward with the implementation of the TNGA. American designed, engineered, and soon-to-be made, the Avalon will emerge as the mid-size sedan flagship for Toyota later on this year. It’s a sedan designed to cater to every type of driver, and we firmly believe that it will emerge at the top of its class. If you’re interested in learning more about the Avalon, don’t hesitate to visit us here at Westbury Toyota so that we can bring you up to speed on all that this industry-leading offering can do to help make your time spent on the roads of Long Island memorable and exciting.